In today’s busy world where millions and millions of people worldwide are looking for a job—fresh graduates, career shifters, and so on. Seeking for employment has never been and will never be easy. It is a constant battle that every human will face. Now, no matter what type of job or position you are applying, there should always be one thing that is essential no matter what, and that is your resume, your key and necessary tool when applying. 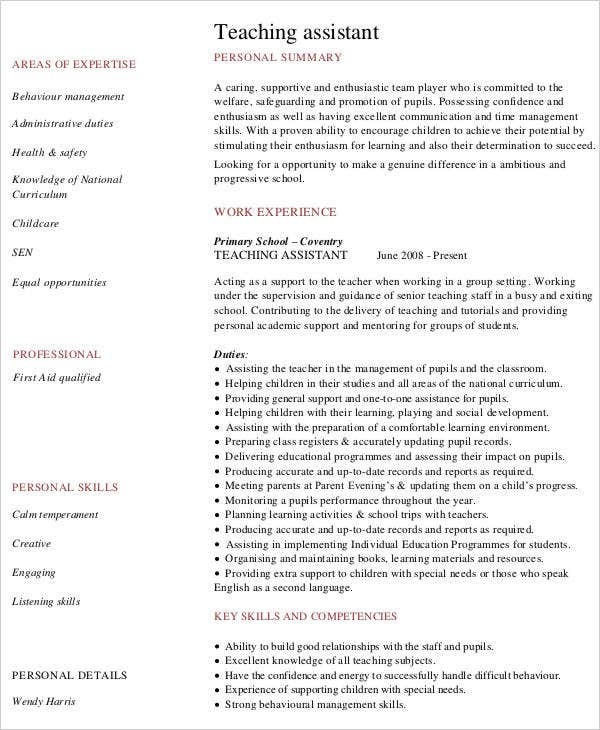 A resume is a brief written account of personal, educational, and professional qualifications and experience as that prepared by an applicant for a job. 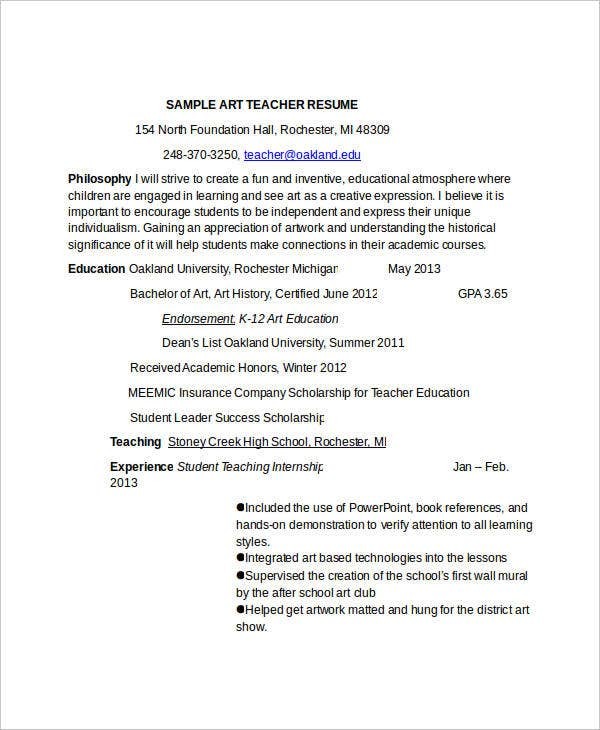 Here, you will be able to see Resume Samples for a preschool teacher position. There are 9 selections to choose from and more on our website. 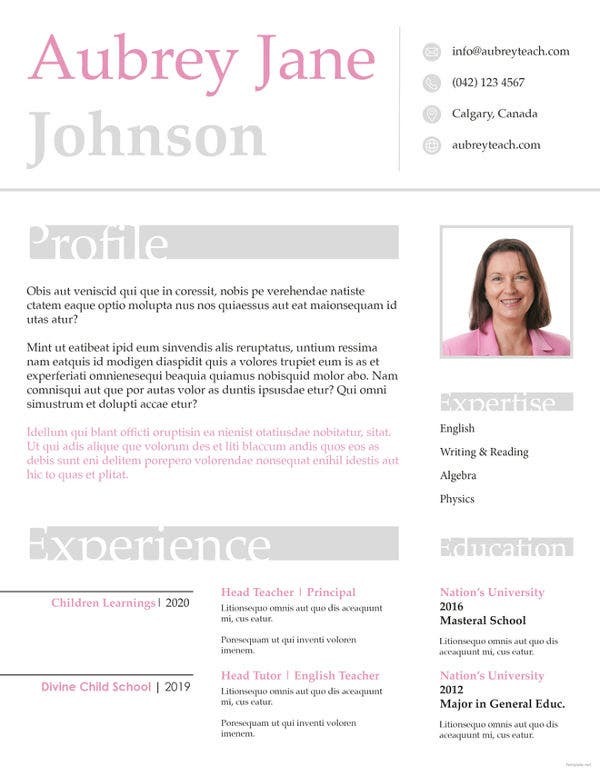 There already preformatted for a hassle-free resume creation. Teaching kids is surely not an easy task, especially those kids ages 2–4 years old. You need to have a patience that can last almost a lifetime. A preschool teacher is a type of early childhood educator who instructs children from 2 to 4, which also stands as the youngest stretch of early childhood education. 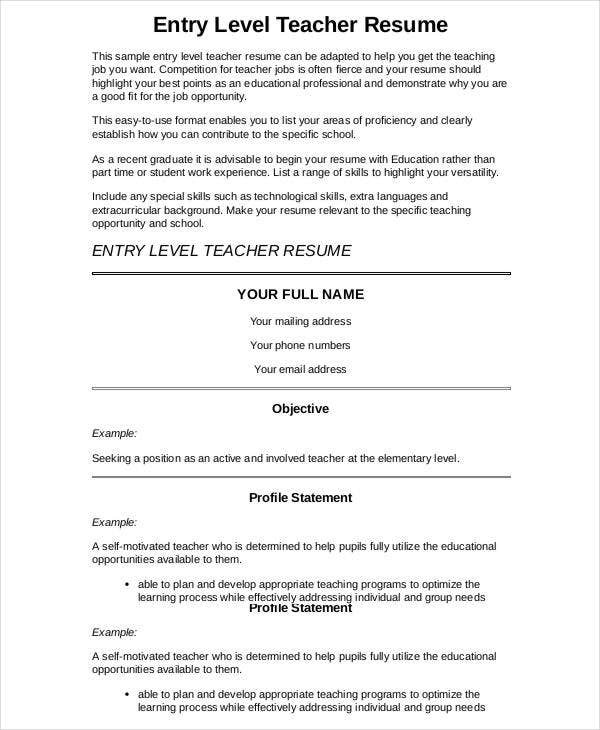 You may also see Basic Education Resume Templates. These teachers need to cover the continuation of children from birth to age 8 years old. 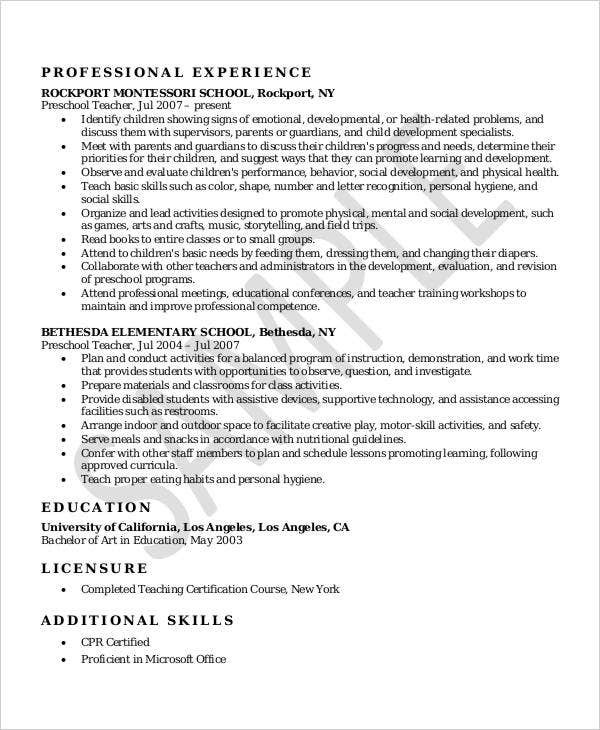 Preschool teachers are encouraged to possess records in early childhood education in the form of a child development accreditation (CDA) of formal college education in early childhood or a related concept. 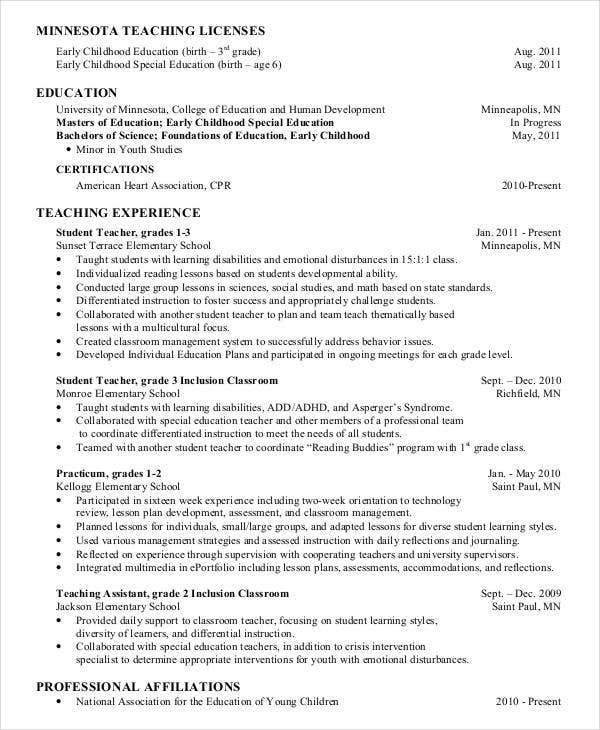 You may also see Teaching Resume Template. It was Johann Friedrich Oberlin and Louise Scheppler founded an early building for educating preschool children in 1779, whose parents were unavailable during the day. In 1870, the same establishments were built in Bavaria around 1802. A preschool center in Detmold was then founded by Pauline zur Lippe. 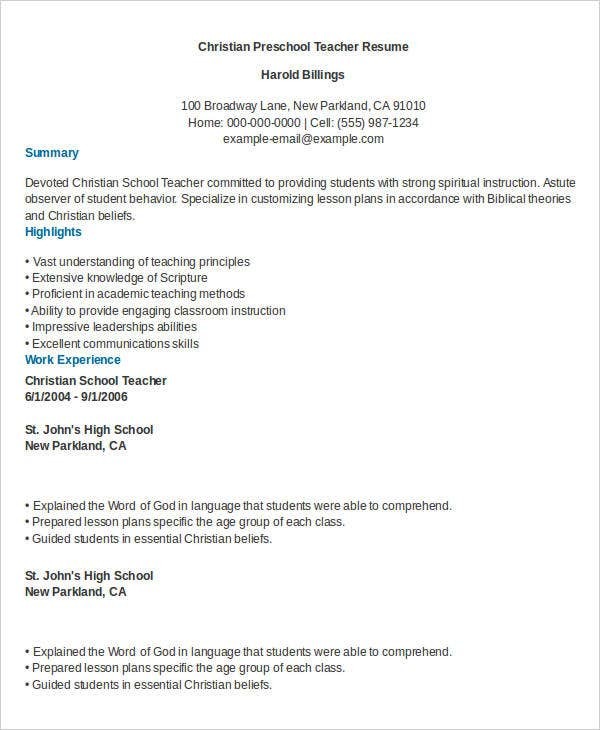 You may also see Impressive High School Resume Template. At birth, the essential years of learning begin. At these years, people are capable of absorbing more information than later on. The brain develops most briskly in the early years. High-quality teachers and preschools can have a long-term effect on improving results for disadvantaged pupils. Preschool systems follow standards for structure, process, and alignment components. A curriculum is created for differing ages. Talking about preschool, a preschool teacher is always part of the picture and will always be. 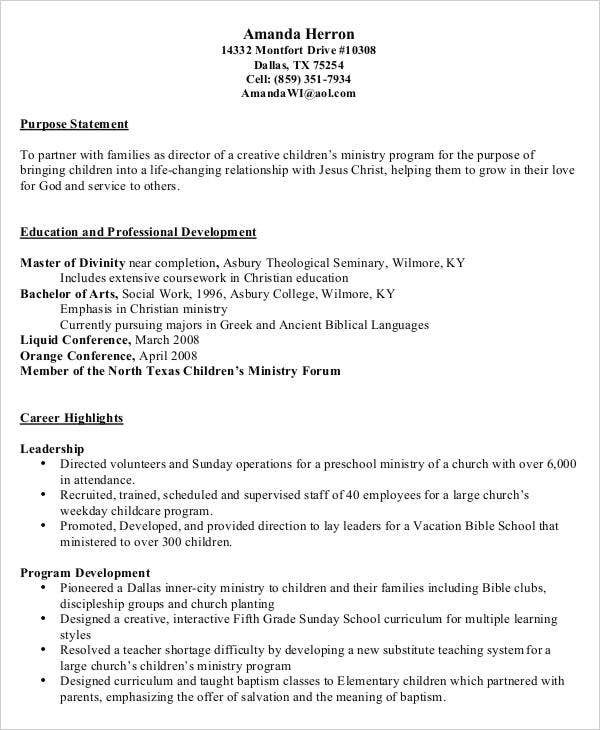 For people who are applying for this type of position, we want to be of help so we created preformatted preschool teacher resumes. No need to create a fresh one since everything is already in there, all you need to do is to download them. Before downloading, if you want to edit something, you can do so. Now you will have more time to do other things necessary for your job application. 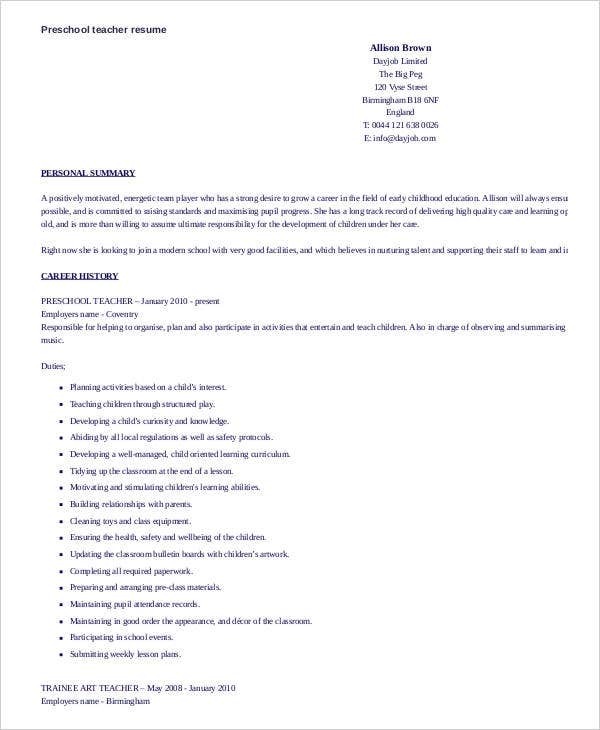 When it comes to resumes, worry no more since we’ve got you covered for that. For sure you have friends who also need these. Share this page with them. 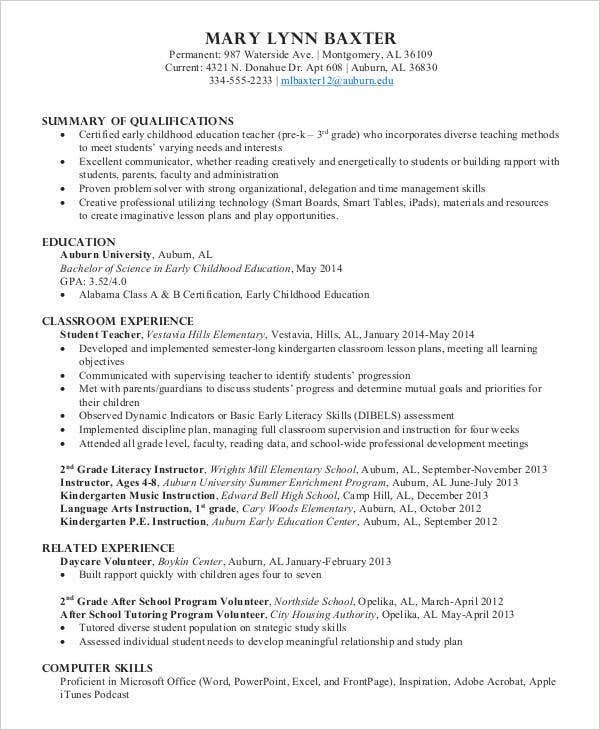 These resumes will be a great help for them too! 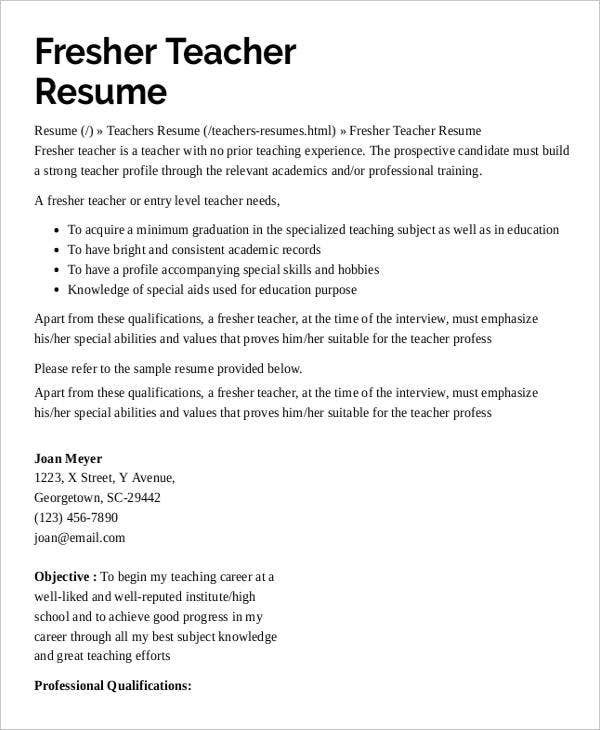 And if you want a more related topic, check out our Elementary Teacher Resume samples too for more.